Meet our tour guide&driver at Tianjin Port, a name sign will be held by our guide for you to recognize. Be transferred to Mutianyu Great Wall, which is less crowded and has the largest construction scale and best quality. 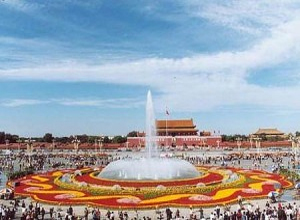 After lunch, drive to visit the two symbolic attractions in the city center–Tiananmen Square, the world’s largest city center square and Forbidden City, the imperial palace for twenty-four emperors during the Ming and Qing dynasties. Transfer you back to Tianjin Port after the tour.